“UFC 150: Henderson vs. Edgar II” takes place August 11th inside Pepsi Center in Denver, Colorado. UFC Fight Club members will have the opportunity to purchase seats for the show today at 1PM ET/10AM PT. The general public will have access to the remains on Friday, June 15th at 1PM ET/10AM PT via TicketHorse.com. 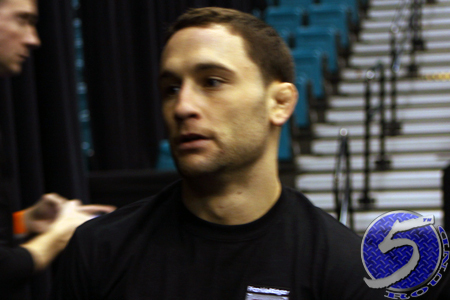 A lightweight rematch between champion Benson Henderson and Frankie Edgar (Pictured) headlines the pay-per-view broadcast.